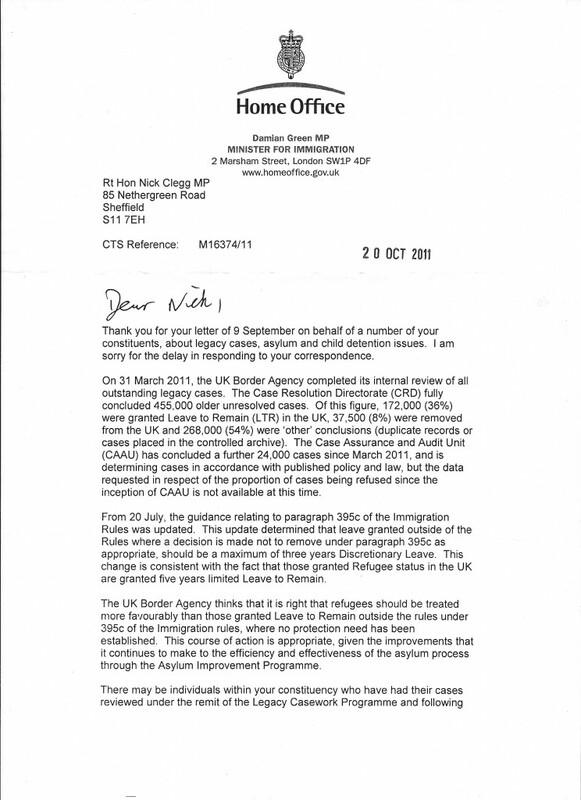 Along with other local asylum organisations, we have twice met Nick Clegg, the Deputy Prime Minister –in October 2010 and in August 2011. 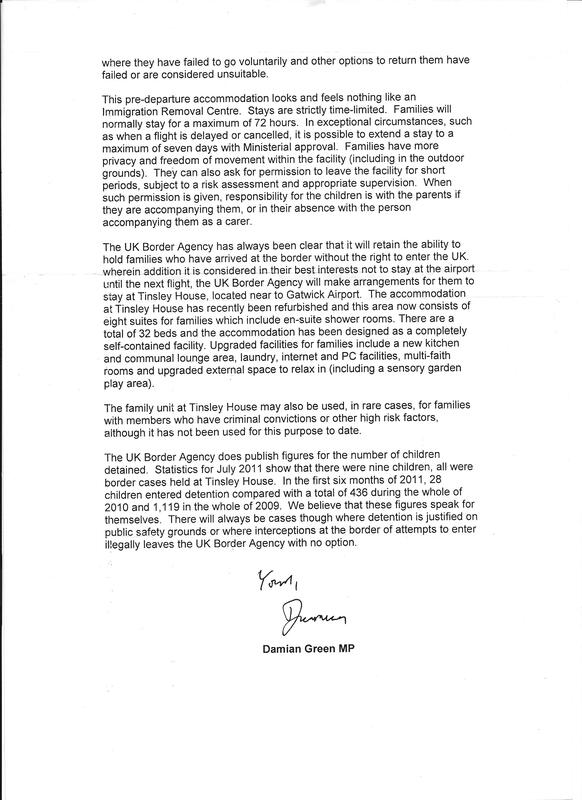 Mr Clegg made it clear that the coalition would not implement all Liberal Democrat asylum policies but he would ensure that child detention was eliminated, except in a very few cases just prior to the deportation of a family and in greatly improved conditions. At our latest meeting, we raised: the need for independent initial decision making (as in Canada) on asylum cases, the handling of outstanding legacy cases, the danger of forcible returns to Zimbabwe, the need to monitor what happens to returned asylum seekers and the need to preserve the Overseas Domestic Workers Visa. 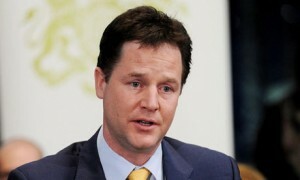 Mr Clegg undertook to follow up points that we raised. How useful have our meetings with Nick Clegg (and other MPs) been? 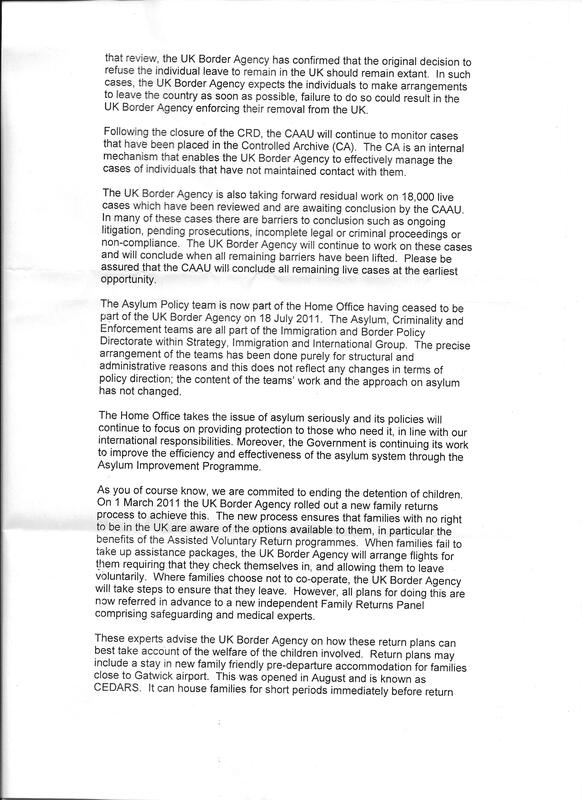 For an assessment, see this article, originally published by Migrants Rights Network. What do you think?